Reverend Peyton’s Big Damn Band is America’s foremost country blues outfit and critics are already having their latest release, The Front Porch Sessions, as career-defining. Reverend Peyton himself is a larger-than-life, compelling performer and a persuasive evangelist for the rootsy styles that inspired the band. Their original music is as passionate and authentic as the vintage blues numbers they cover. There’s a lot of sound that comes from this amazing acoustic trio with the Reverend Peyton on guitar, Breezy Peyton on washboard, and Maxwell Senteney laying down the beat on a suitcase drum set. The band will be playing two nights in Oregon, with the first taking place at The Volcanic Theater Pub in Bend on Thursday, October 12. Tickets are $15.00 available at Bendticket.com. This is an all ages show. The Volcanic Theater Pub is located at 70 SW Century Drive. 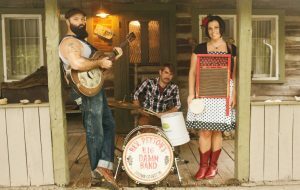 The next night, Reverend Peyton’s Big Damn Band will appear in Portland at Dante’s, 350 W Burnside Street at 9:00 pm. Tickets are $12.00 through Ticket.com. This is a 21 & over show. 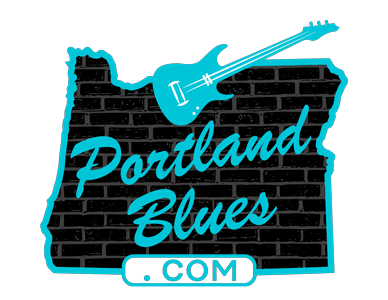 ‹ 11th Annual Oregon Music Hall of Fame Induction Ceremony & Concert Scheduled for Oct. 14.